Site Development Plans or Site Plans, as they are commonly referred to, can be defined as detailed engineering drawings of existing and proposed improvements to a parcel of land. A representation of how buildings, travel paths, parking, stormwater systems, water and sewer systems, lighting, signage and landscaping will interact or function with one another. Our office can work with you from concept to completion to create a site plan that meets your needs and within your budget constraints. We will incorporate our broad range of knowledge and services to assist you from the feasibility and preliminary phase right on through to the final design and construction phases. 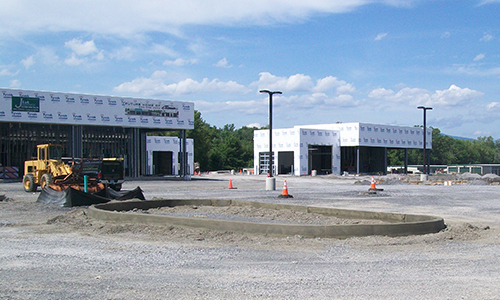 We have worked with numerous local planning boards, zoning boards, and land planners throughout the Hudson Valley to develop successful projects for our clients that comply with local zoning laws and comprehensive plans. We take pride in our ability to lead and manage all phases of a project, and in our ability to work with other consultants in areas of expertise not covered by our staff. Our firm is also frequently hired as a sub-consultant to provide our expertise in specific areas of a project. Our office has also partnered with other consultants on “Green Building” projects that have complied with the Leadership in Energy and Environmental Design (LEED) standards. Our office has successfully designed and overseen the construction of numerous residential and commercial wastewater treatment systems throughout the Hudson Valley and Catskill regions. Projects range from new construction to evaluating and repairing existing systems. Our staff has successfully worked with the New York State Health Department (NYSDOH), several County Health Departments, New York City Department of Environmental Protection (NYCDEP), New York State Department of Environmental Conservation (NYSDEC), and the Catskill Watershed Corporation (CWC). Our office has worked and cooperated with homeowners located in the New York City Watershed West of the Hudson River region as a part of the CWC Septic Rehabilitation and Replacement Program. This program provides funding assistance to eligible homeowners for repairing or replacing existing systems which are failing or are likely to fail. CWC also has a Septic Maintenance Program and Business Septic Repair Program to help residences and small businesses pay for system maintenance and repairs. 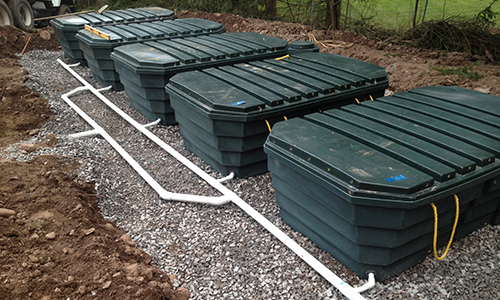 The design of residential on-site wastewater treatment systems, or septic systems as they are commonly referred to, requires the completion of field and office work. The field work includes performing soil percolation tests and witnessing deep soil tests to determine the suitability of the soil and the type of treatment system to be designed. Our office has designed systems ranging from conventional in-ground types to enhanced treatment units (ETUs) such as peat fiber biofilters. Our office has designed and obtained permits for commercial wastewater treatment systems varying from sub-surface or groundwater discharges to surface water discharges. Any surface water or groundwater discharge greater than 1000 gallons per day must be covered by a State Pollutant Discharge Elimination System (SPDES) permit issued by the NYSDEC under Article 17 of the Environmental Conservation Law.